This is an admirable venture lest no one forgets the horror and scale of death suffered in this most brutal of conflicts. 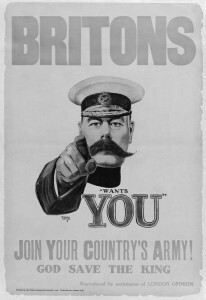 In four years Britain endured 658, 700 fatalities, 2, 032, 150 wounded and 359,150 men missing in action. This adds up to total number of 3,050,000 casualties. Astonishing isn’t it? And this is before one considers the impact on the home front. The mother’s without sons, the women without husbands and so on. Every village in every British city has a war memorial where we can read the names of the dead and only imagine the impact such tragedy had, and in many cases, still has, upon communities. 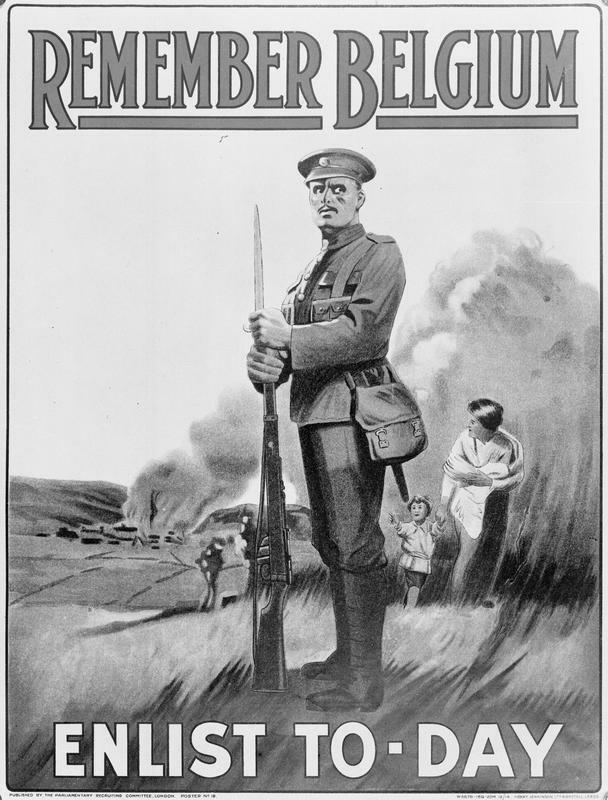 When war broke out in 1914, it did so to flag waving and patriotism. Men were promised honour, glory and a conflict over by Christmas. These were times of great social inequality, remember, and these disenfranchised boys from the poorest, most hopeless communities could for the first time be useful. The army offered food, clothing, camaraderie and the respect of the nation. The lure of these things should not be underestimated. Their king and country depended upon them. So join up they did. It became a tribal, collective endeavour – many battalions were made up of men from the same villages, who went to the same schools and clubs. They joined together and a great many died together. 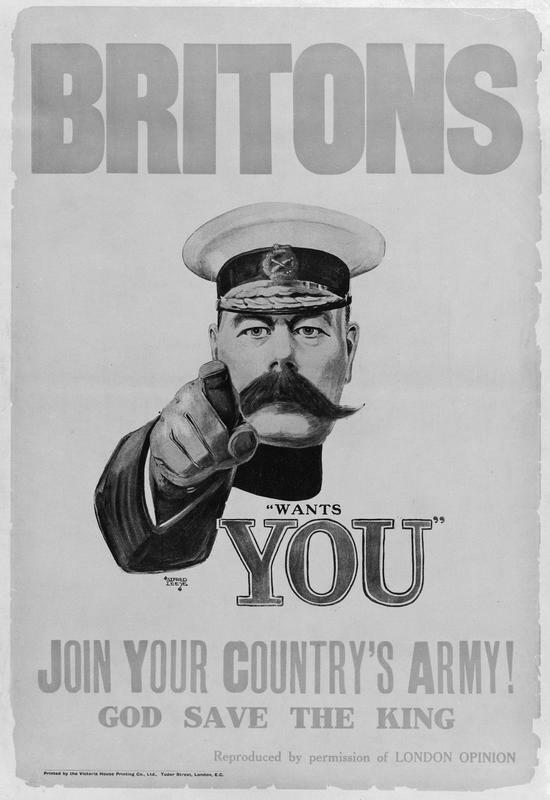 The propaganda posters told these often pathetic young men that they could be part of something special, to serve their country in righteousness. 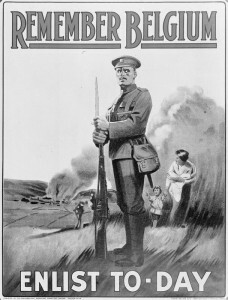 Many posters appealed to individuals personally, they preyed on the insecurities men might feel if they did not join up. Their masculinity was questioned, their fitness to be a father, to be a citizen and above all, to be a man. Not to join was cowardice – a treacherous act which would bring shame upon their family and nation. What the government and press were doing was communicating the absolute necessity of conflict. Germany and its leaders were demonised. She was the antithesis of Britain and her values. And as Aldous Huxley wrote in the ‘Olive Tree’ (1937): ‘The propagandists purpose is to make one set of people forget that other sets of people are human.’ Under these circumstances, who in their right mind could stand idly by whilst this evil regime wreaked havoc throughout Europe? That the press wilfully aided the war effort to the extent that truths were hidden from the public is all too evident. 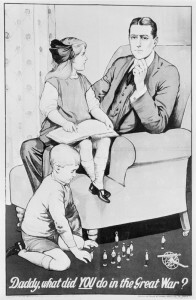 By 1918 Lord Beaverbrook, later the owner of Express newspapers, was Minister of Information. Lord Northcliffe, owner of the Times and Daily Mail was in charge of all propaganda directed at enemy countries. Robert Donald, editor of the Daily Chronicle, was director of propaganda in neutral countries. Those journalists who actually reported on the conduct of the war (and there were only five) were bound by the strictest of restrictions. Reporters on the front line could not say where they were, refer to regiments or mention any soldiers other than the commander in chief. But they were treated as members of the army – given uniforms, a rank and they were housed well. The point is they were there for propaganda purposes: to provide stories of heroism, aid recruitment and also to protect the high command from criticism.